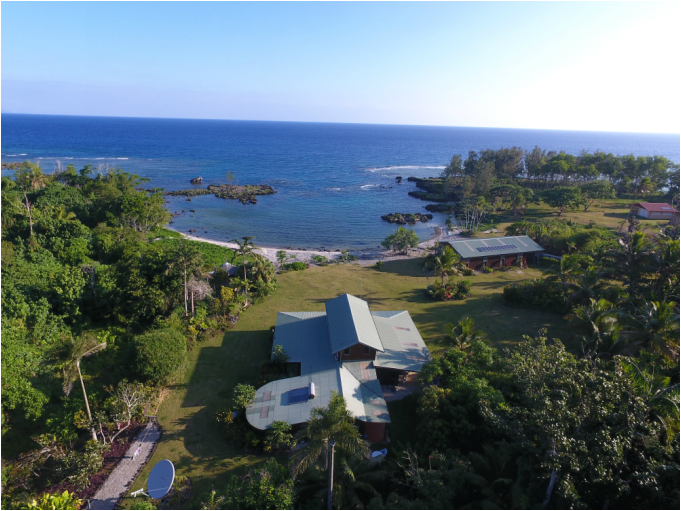 The Epi Guesthouse is situated on 13 acres of tropical gardens, on the south western coast of stunning Epi Island, only a half hour flight from Port Vila. More of a lifestyle commitment than a commercial venture, staying at the guesthouse gives travelers a chance to experience a real alternative lifestyle first hand, and to see the fruition of a life dream pursued. 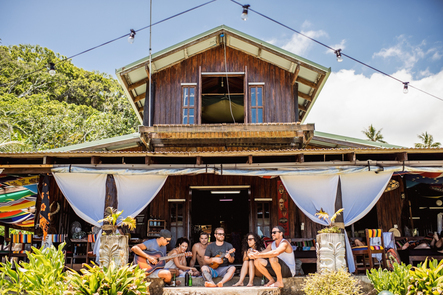 ​What makes staying at the Epi Guesthouse so unique is the fact that this is really just a family home, with all the comforts of such, and our guests very quickly feel more like they are staying with friends. "There's something about this place that puts you at ease. Within a day you're actually unwinding, and you can notice the physical change in yourself as you ditch your own world and immerse yourself in the day to day living here. It really gives you that deep relaxation you're looking for in a holiday." "I have stayed at the Epi Guesthouse for a week. Of all places I have been to in Vanuatu and even the whole world this was the most special. Epi island is very beautiful! It is the most green island I have been to and It made me feel relaxed and safe from the moment the little plane landed. The guesthouse is like a peace of heaven, the wooden house made me feel at home directly! In the daytimes, Rob and Alix took me out on a reef walk, snorkel trip (where I saw turtles, octopus and heaps of colourful fish), kayak trip (with dolphins!!) and a amazing hike through the bush, over hills and along the beach. In the evenings they took me down to there private beach where we had diners, wine and bonfires under the stars. We share all our meals with guests where we lounge around the dinner table solving all the world's problems. We thoroughly enjoy the time we spend with people who come to us from all over the world, to share their stories and their thoughts, as we do with them. It's a wonderful opportunity for us to live our quiet island lifestyle without having to give up the stimulation of good conversation.